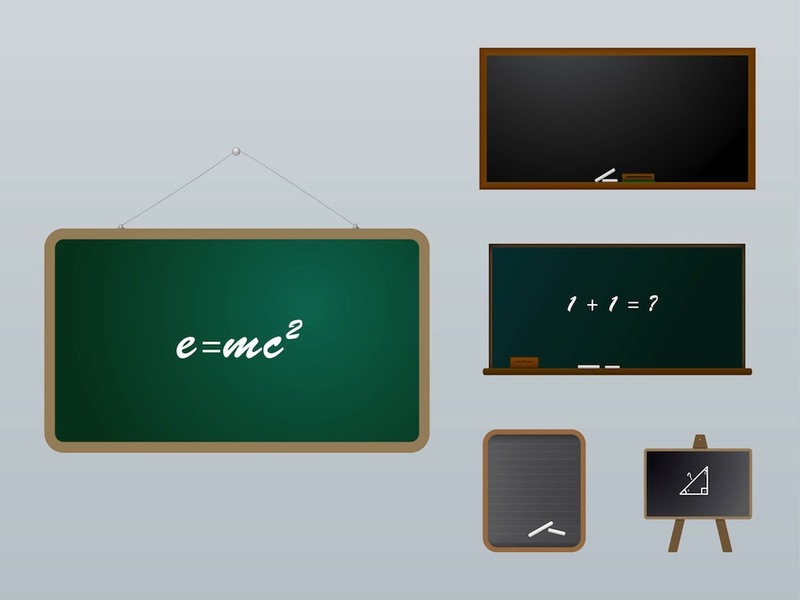 Vector graphics of blackboards with different shapes and sizes. Education design templates with different designs: wall mounted and hanging boards, different colors of the surfaces and different kinds of information displayed on the boards. Free vector graphics for all school, classroom and studying projects. Tags: Blackboards, Classroom, Equations, Mathematics, Maths, Studying.